Dr. Suhail Naseem Bukhari is one of the best General Surgeons in Okhla, Delhi. You can consult Dr. Suhail Naseem Bukhari at Holy Family Hospital in Okhla, Delhi. Book an appointment online with Dr. Suhail Naseem Bukhari and consult privately on Lybrate.com. 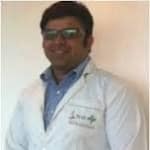 Lybrate.com has an excellent community of General Surgeons in India. You will find General Surgeons with more than 44 years of experience on Lybrate.com. You can find General Surgeons online in Delhi and from across India. View the profile of medical specialists and their reviews from other patients to make an informed decision. Earlier my lips were not pink but not black but now they have become little blackish. Plzz tell the solution. Most cases of discolored lips are associated with brownish to brownish-gray hue. Causes: the lips itself almost never reaches a full black color. However, other colors such as bluish or yellowish discoloration may also occur. It can be associated with environmental causes, mechanical, chemical or electromagnetic damage, toxin and poisoning, skin disorders (lentigo, mealsma, dermatiits, dry lips), systemic diseases (anemia, cyanosis), chronic sun exposure, certain medications and lifestyle factors (cigarette smoking, alcohol abuse and regular narcotic use). Management: there are several natural solutions to lighten darker lips. Here is a list of natural home remedies that can lighten dark lips. 1. Sugar scrub take sugar and use it like a scrub. This will remove the darkness and dead skin from your lips and provide your lips a pink colour. Repeat this daily in order to get rid of black lips. 2. Beet root juice apply 2-3 drops of beetroot juice and massage your lips. Beet root will make your lips pinker, giving them a luscious look. 3. Olive oil rub 1 or 2 drops of olive oil on your lips. This will reduce the darkness and moisturise your lips. 4. Lemon juice we all know that lemon juice is great for hair and even greater for skin. It is also beneficial in making your lips beautiful and pink. Apply 2-3 drops of lemon juice on your lips. Stretch your lips and massage gently. You will see that the darkness is removing itself and your lips will appear to be soft. 5. Rose flower take 2-3 drops of rose flower oil and apply it on the lips. Rose flower oil will give you pink coloured lips, naturally. Hello, I am suffering from large open pores all over my face and acne marks plzz suggest me some advice to cure these problems. Better to consult nearest dermatologist after proper investigation he may prescribe medicine or advise laser. Or you can use trunex 0.04% gel locally evening zoray aquagel sunscreen morning. I have scar on face from accident and now highlight dark black scar I can use melacare cream on face only on scar please reply me it is best or not or please give better name of cream to remove very old scars of accident. Hello, I get rashes around my thigh and waist these days. Whether this is due to wet weather, acidity or allergy? Greetings, Redness of skin along with itching and burning is normally seen during the months of summer and monsoon due to the humidity. Excessive sweating and tight clothes can aggravate the condition. Taking measures to reduce sweating and maintaining better hygiene by taking a bath with a good soap and water twice daily will reduce the spread and severity. If symptoms do not reduce after 3-4 days of doing the above mentioned things it is best to consult and dermatologist and start medications to prevent a fungal infection. Please do not hesitate to contact me . I have pain under my right breast. It became worst while taking deep breath or changing positions while sleeping. And also pain starts at the middle. Does this pain relates to ribs or sternum. What it is. Is it serious. Please advice..
Hello, Thanks for the query. Based on the explanation given it is difficult give a clear opinion as to why the breast pain is occurring. It needs to be properly examined and if needed some investigations may need to be done. Therefore, my suggestion is better to consult a local competent surgeon and based on his advise further investigations should be done. Do not neglect. Usually cancerous problems are painless. But please get properly examined. Thanks. I have some dark black spots on my both feet due to wearing sandals. Which part is covered that is white but the open part is dark black. How to remove this. Is Almond Oil works as a good moisturizer? I read many articles about it. Is it really true? For e. G.I have black spots as well as pimples on my back. I used scar removal cream for 4months but didn't see any changes. What should I do. Take ras manikya ras. Gandhak rasayan and shukti pishti with honey thrice a day. Take panchnimbadi churna with water twice a day. Take panchtikta ghrit guggul and arogya vardhini vati with warm water. Take pranacharya charm vikarasav 2-2 tsf with water twice a day. Apply marichyadi oil on affected part. Take these medicines in supervision of a good ayurvedic doctor. If I wash my face n again it becomes oily within 2-3 minutes. My skin looks soo dull because of oiliness and sweat. please help me out plzz. Hello, you can use kojic soap for an extremely oily skin. It causes skin to dry. Use a good company like marie france. You may also try foaming face wash with salicilic acid. I am suffering from skin energy and I have a white spots on my skin. Can you suggest me that what I have to do now? Hello, for skin allergy, take homoeopathic medicines - schwabe's rhus tox. 30 and urtica urens 30 - both thrice daily for 4 weeks. Revert. For white patches/ spots: white patches/ dots on your skin are a common type of depigmented skin lesion associated with an infection, allergy, or autoimmune disorder. One common cause of white spots, or hypopigmentation, is a fungal infection of the skin known as tinea versicolor (associated with other symptoms, such as itching or dryness on or around the white patches). This fungal infection is not contagious and can be treated easily with over-the-counter medications. The white spots and patches can also be because of deficiency of vitamin d (for which 15-20 minutes of exposure to early morning sunlight without sunscreen is needed, 3-4 times a week). Or else they could be idiopathic (i. E, without any cause). Vitiligo is an autoimmune disorder which can be treated with homoeopathic medicines, but chances of relapses are also there. Please tell me other symptoms like about sensation on the area, since how long do you have this patch, any family history of white patch, etc. Meantime, you can start with homoeopathic medicines - cina 1m/ one dose daily at night and ars. Sulph. Flavum. 200/ twice daily for 20 days (it is safe). Apply a good brand's sunscreen with spf 40 on the skin (specially on the white patches/ spots) 20-30 minutes before going out under the sunscreen and reapply it after 3-4 hrs. Again.